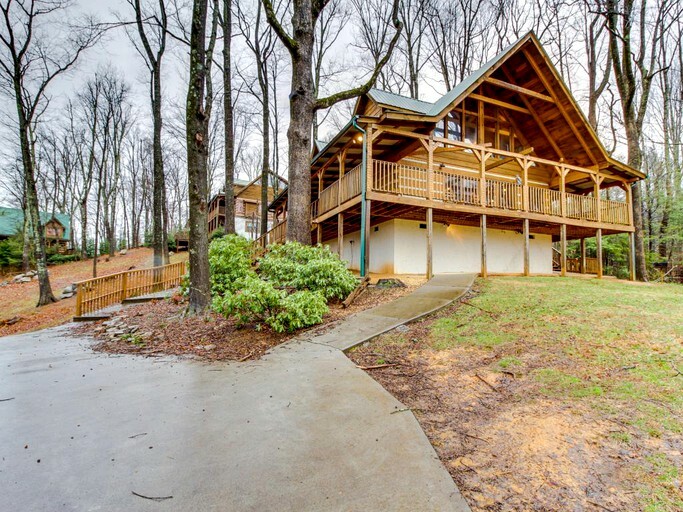 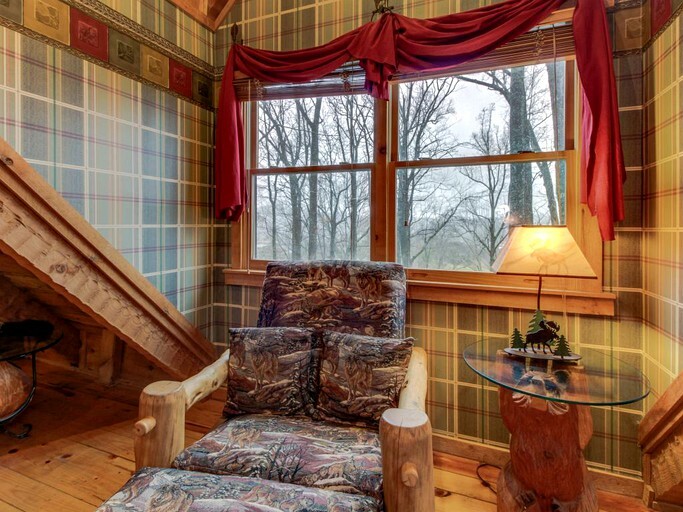 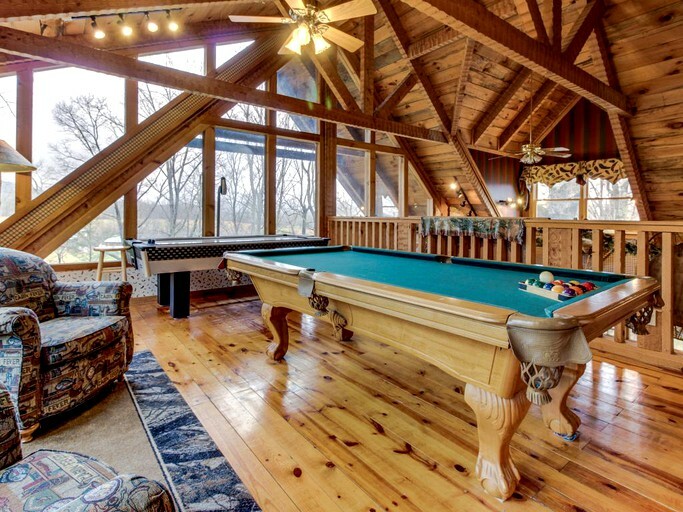 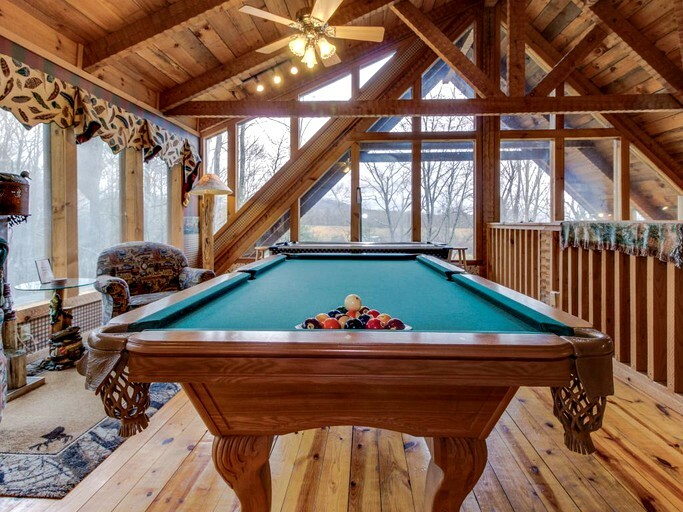 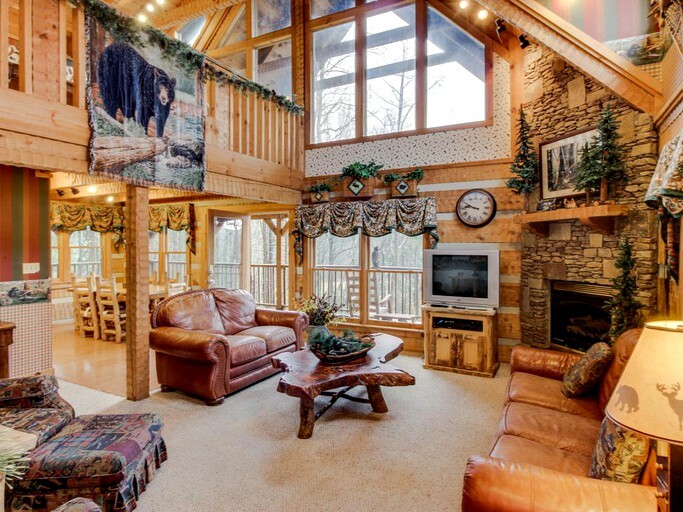 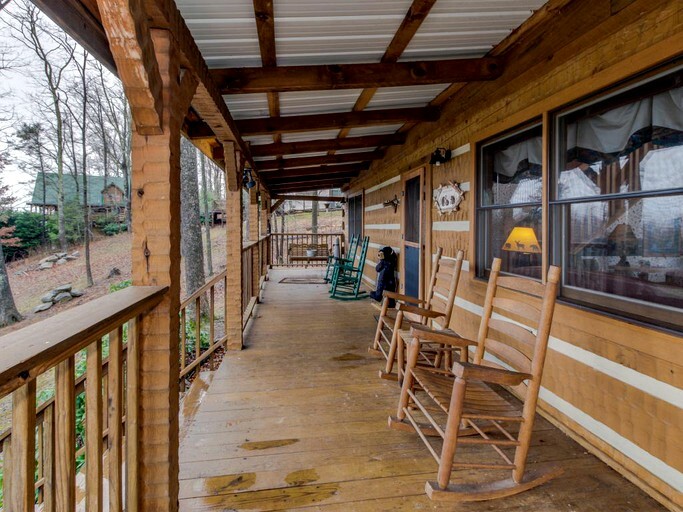 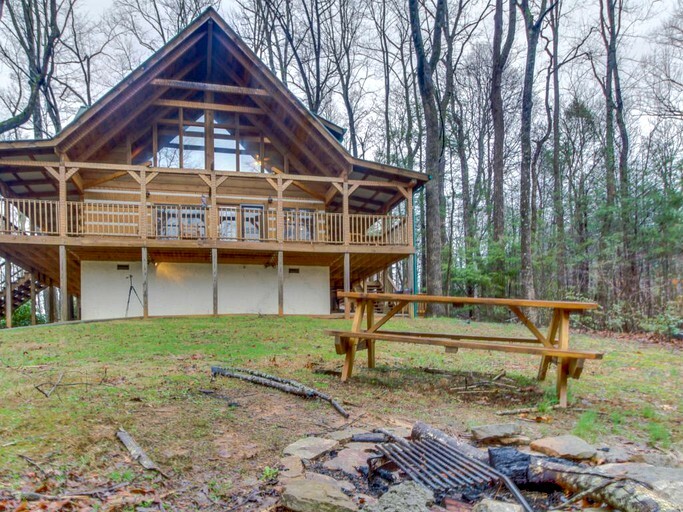 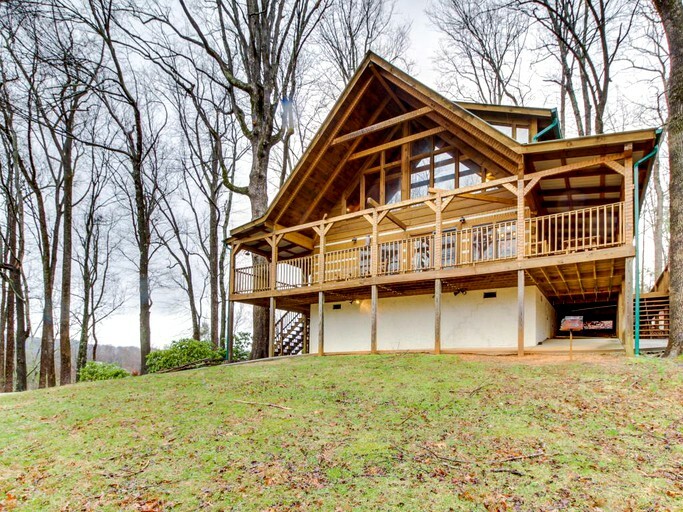 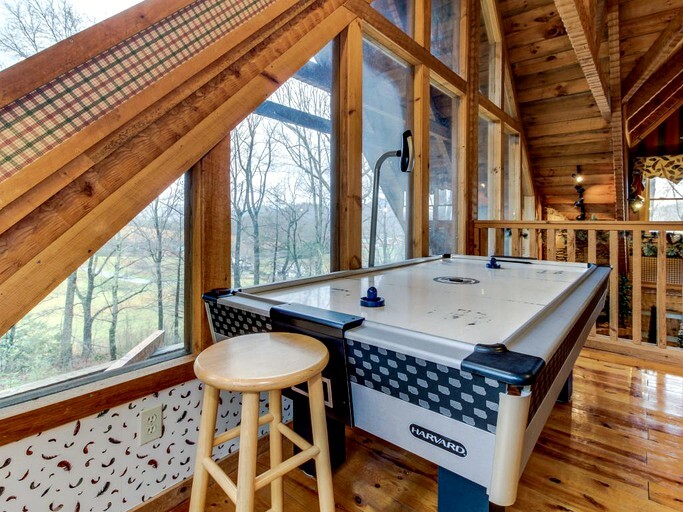 Plan an escape from the city at this charming, peaceful log cabin close to the Smoky Mountains near Sevierville, Tennessee. 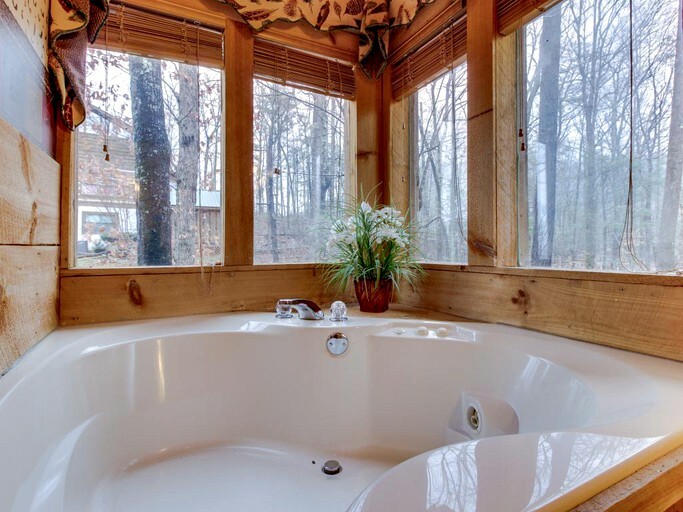 Secluded and tranquil, there is no better way to enjoy some peace and quiet while enjoying stunning natural surroundings. 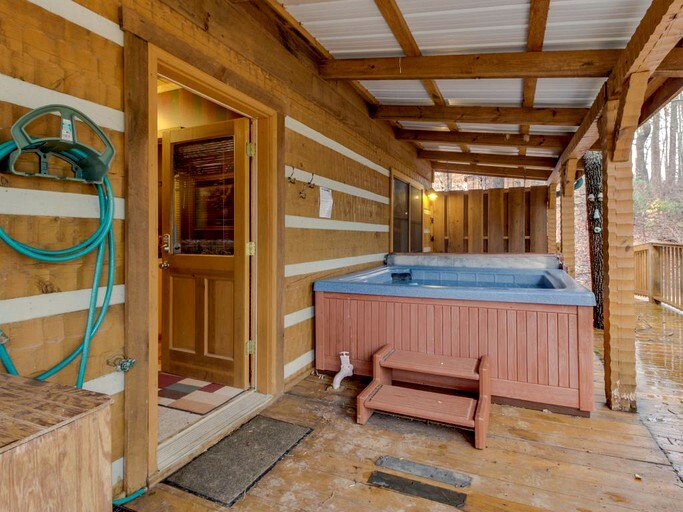 This accommodation features a wrap-around porch with a private hot tub and an outdoor grill for whipping up a delicious barbecue. 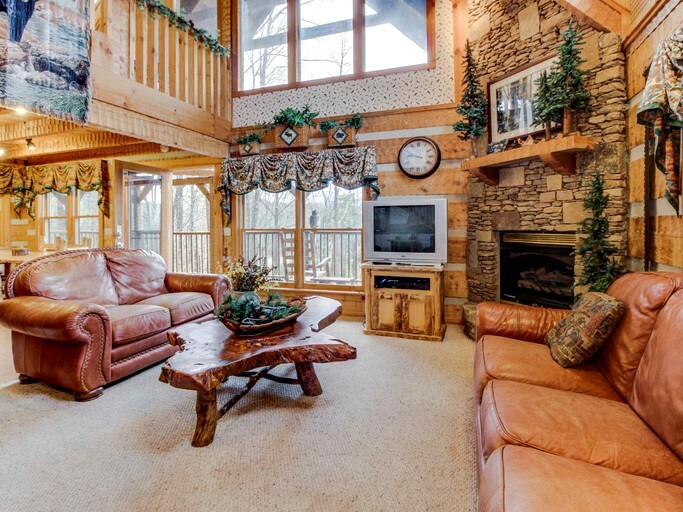 Inside, a well-furnished family room—complete with a stacked, stone gas fireplace and a television with cable and a DVD player—provides the perfect setting for curling up with family and friends after a long, relaxing day. 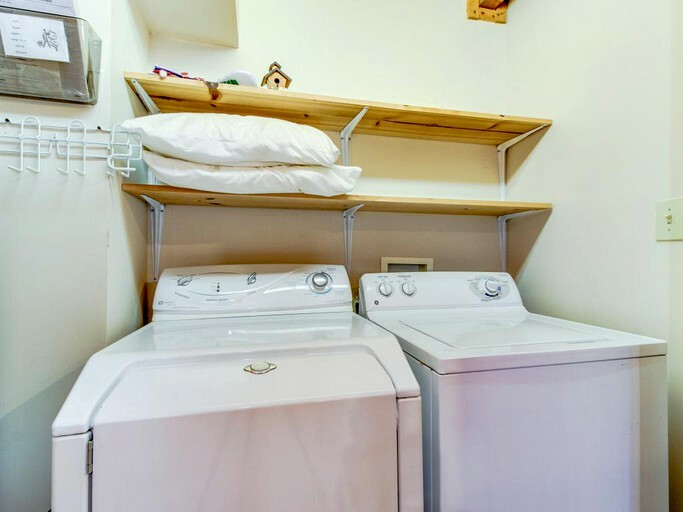 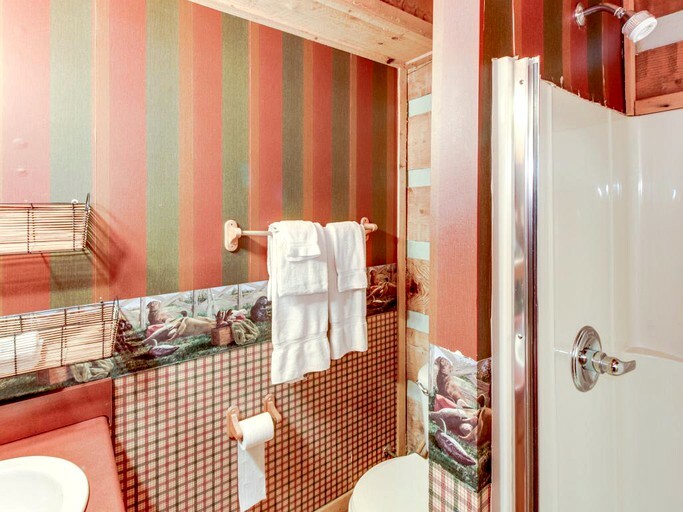 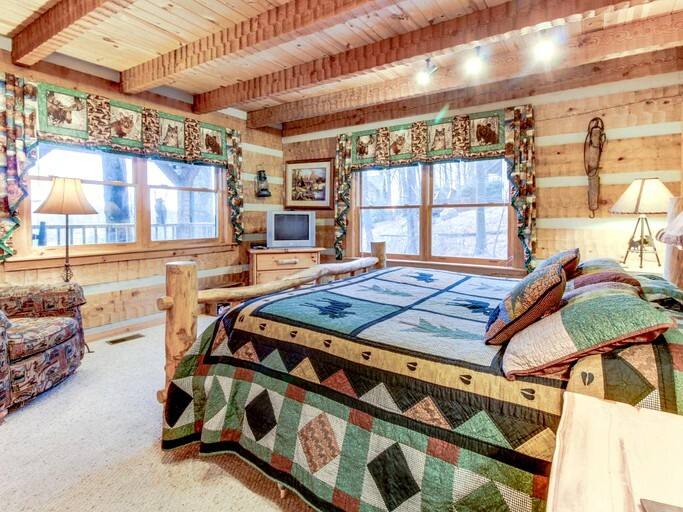 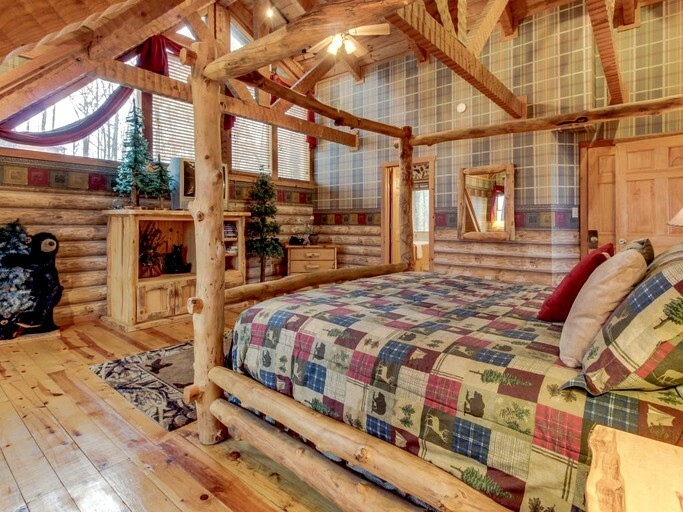 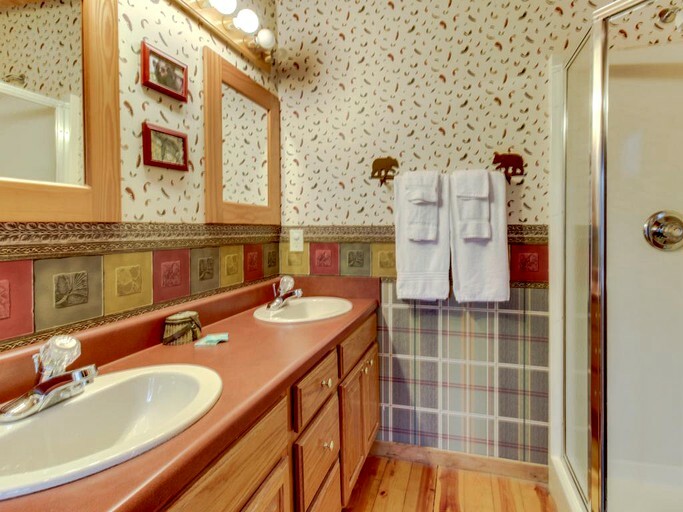 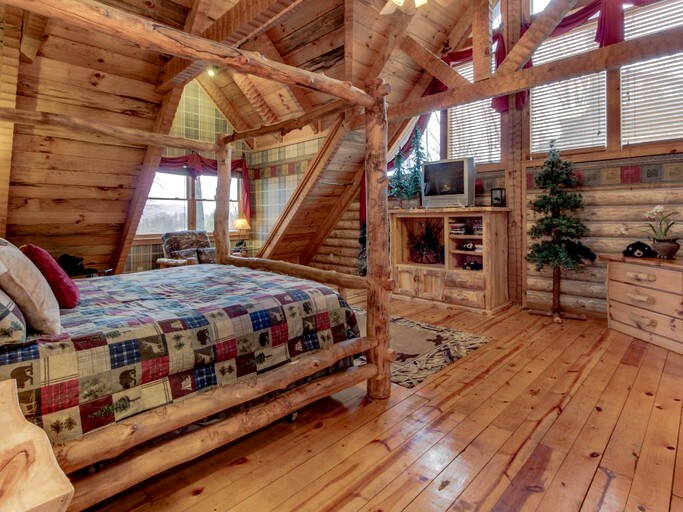 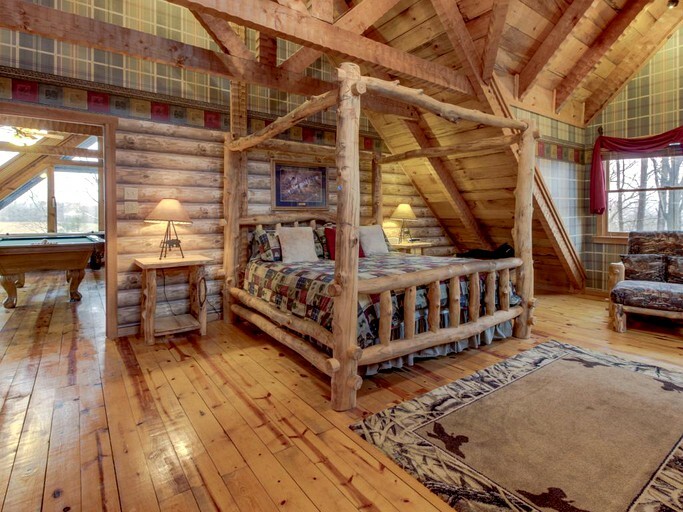 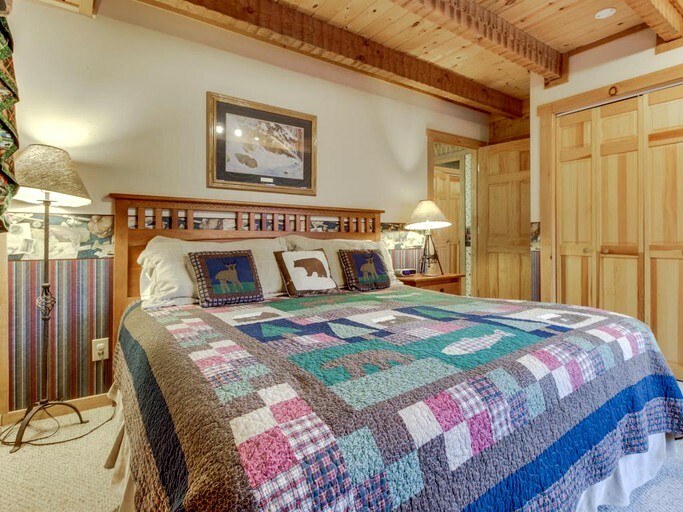 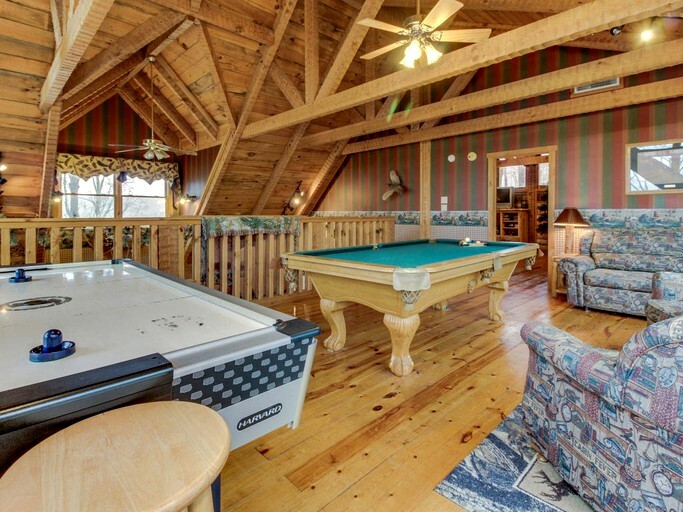 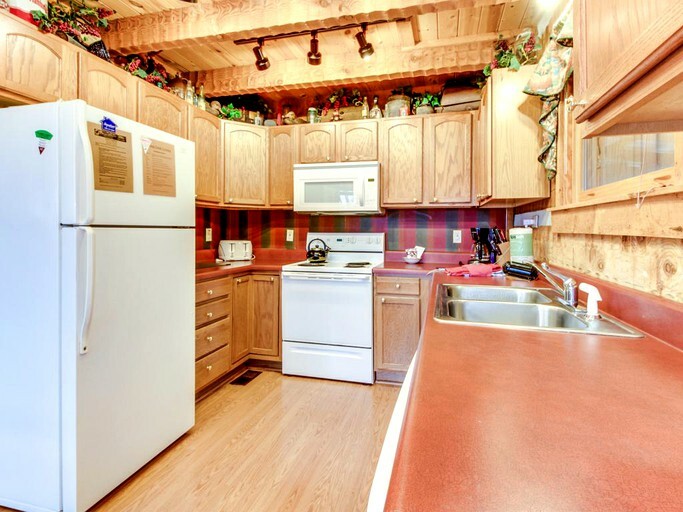 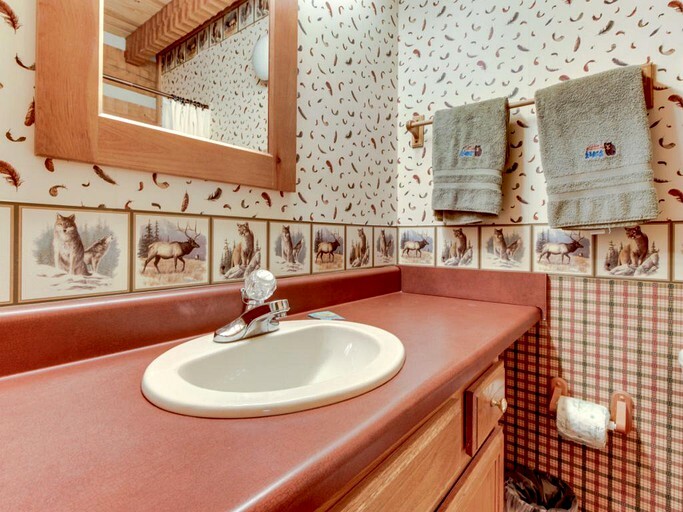 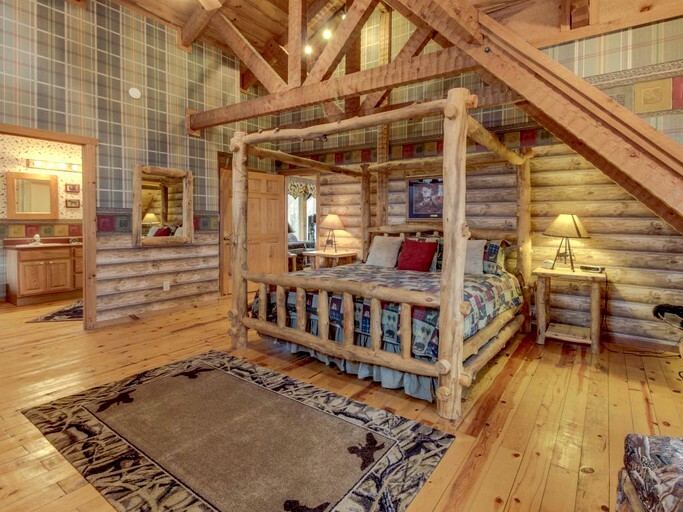 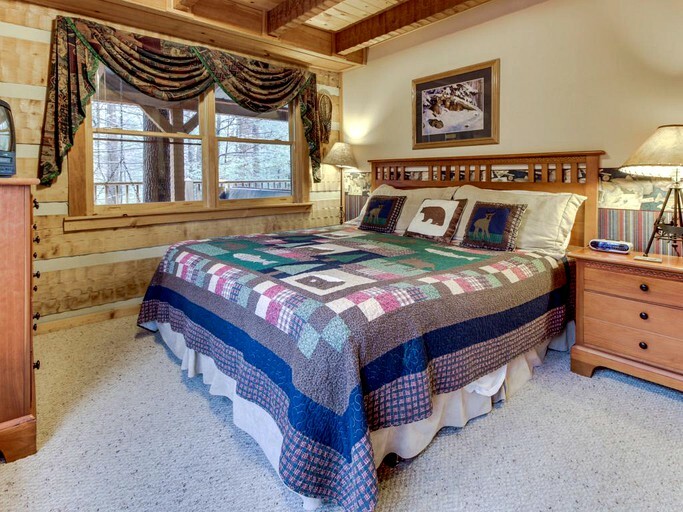 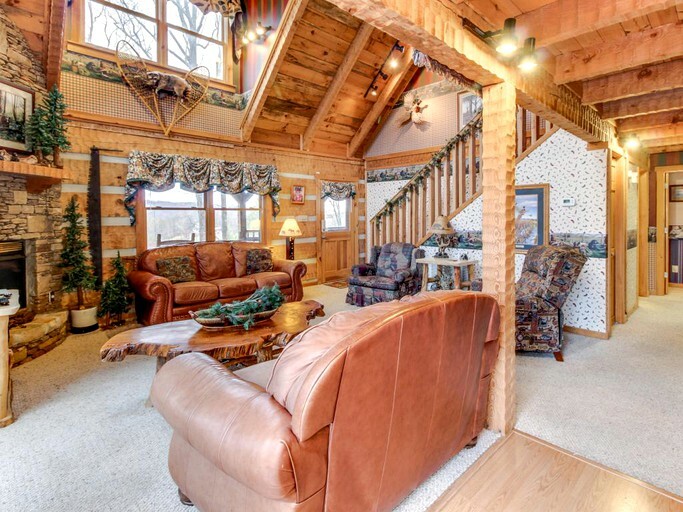 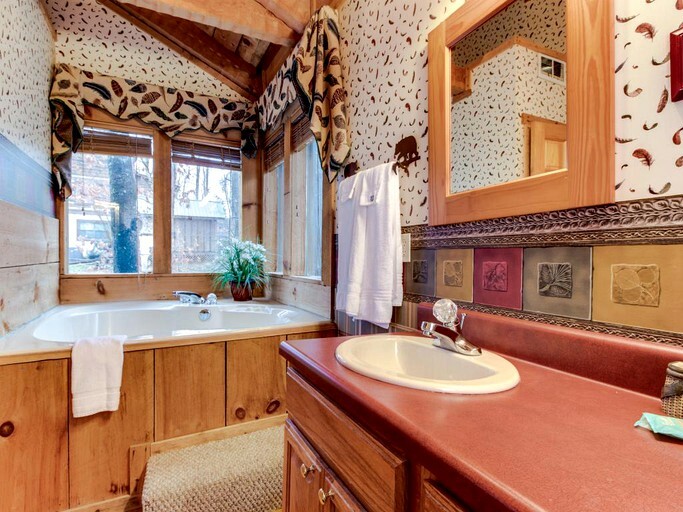 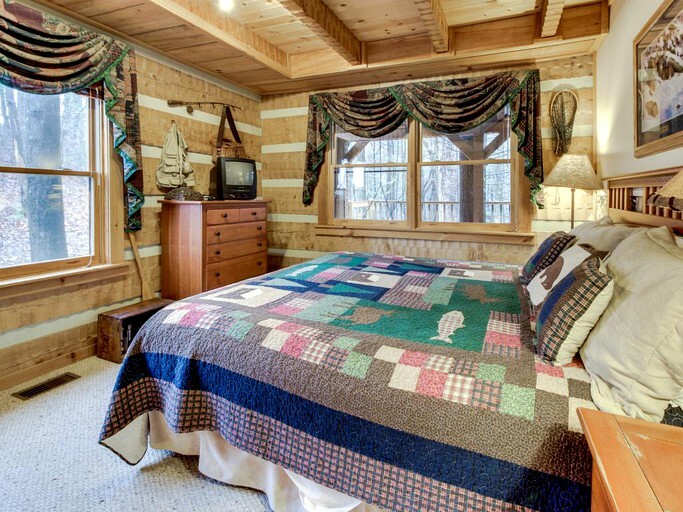 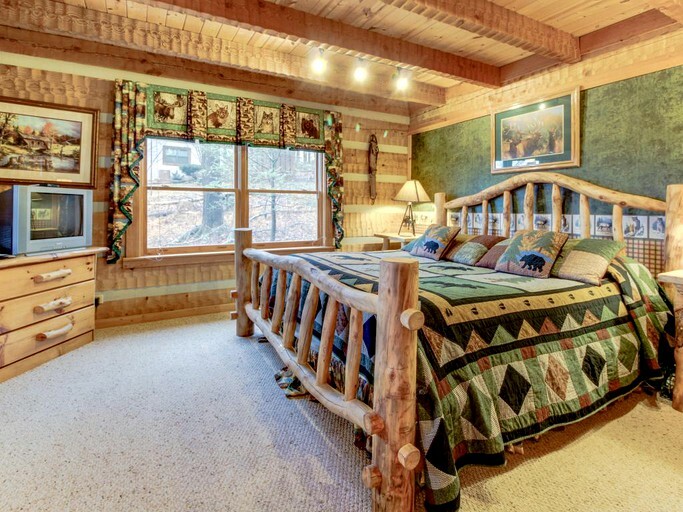 This cabin is fully equipped with everything needed for a comfortable stay. 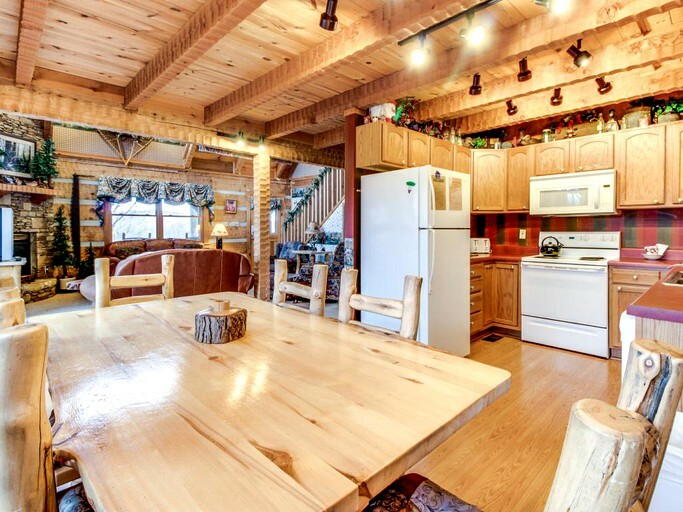 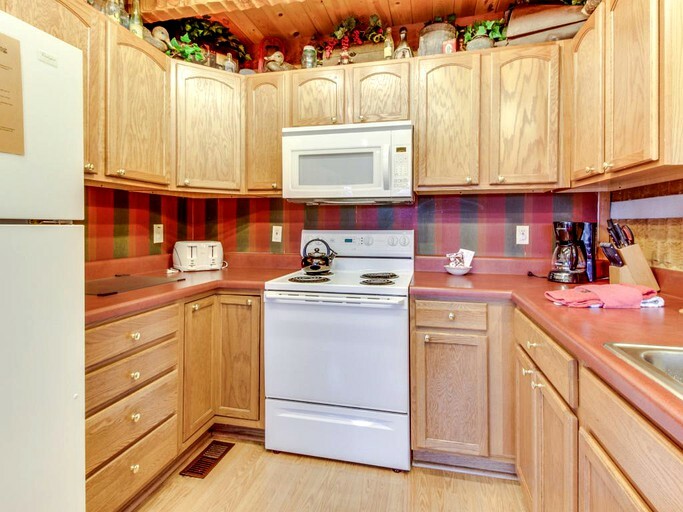 A smart kitchen with all the modern conveniences required to prepare delicious home-cooked meals sits next to a dining room with a rustic table and seats. 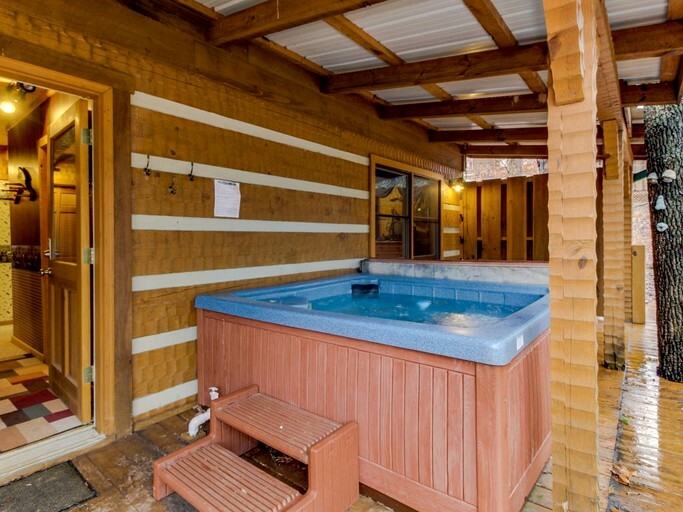 The outdoor grill and patio seating provide the perfect setting for a relaxed family dinner on warm summer evenings, while the private hot tub is a great way to end a peaceful day. 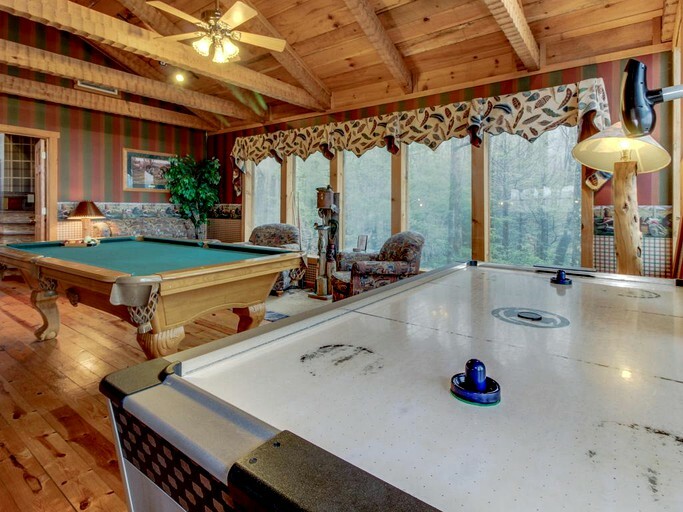 Head to the games room for a game of pool or air hockey, or just settle down in one of the comfortable armchairs with a good book. 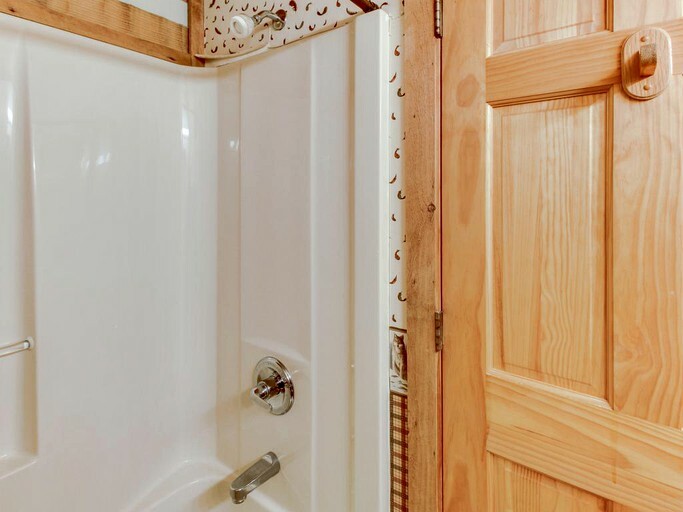 Choices abound! 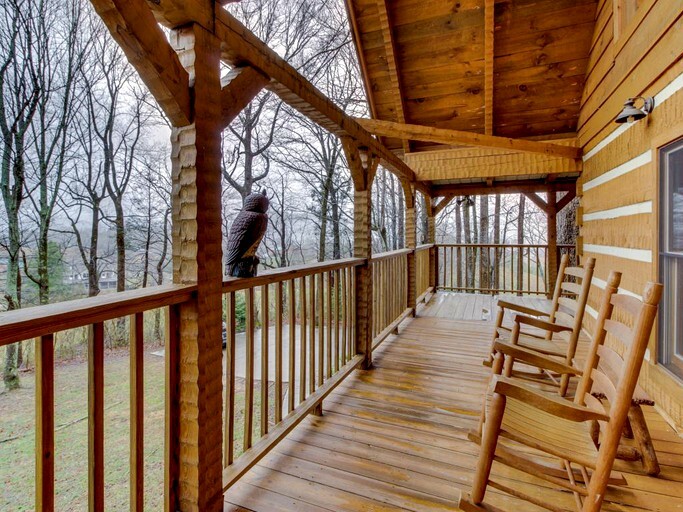 Long, rambling nature walks are highly recommended in this bountiful, untamed area. 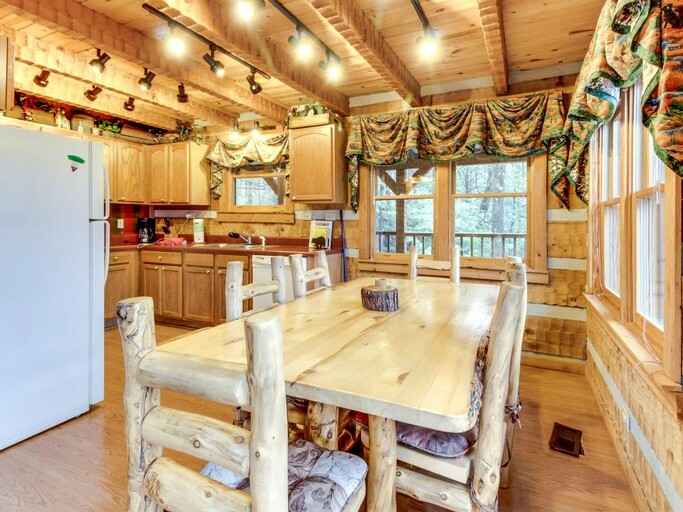 There are plenty of easily accessible hiking trails close to this cabin, varying in difficulty levels and suitable for all abilities. 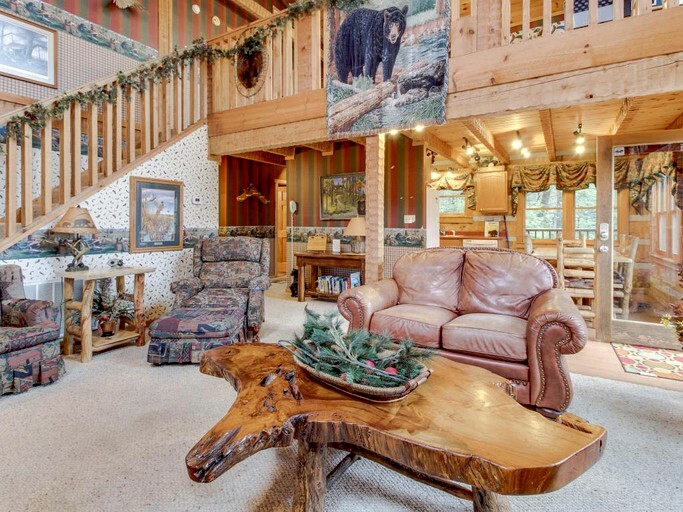 Rock climbing is also a popular activity in this area. 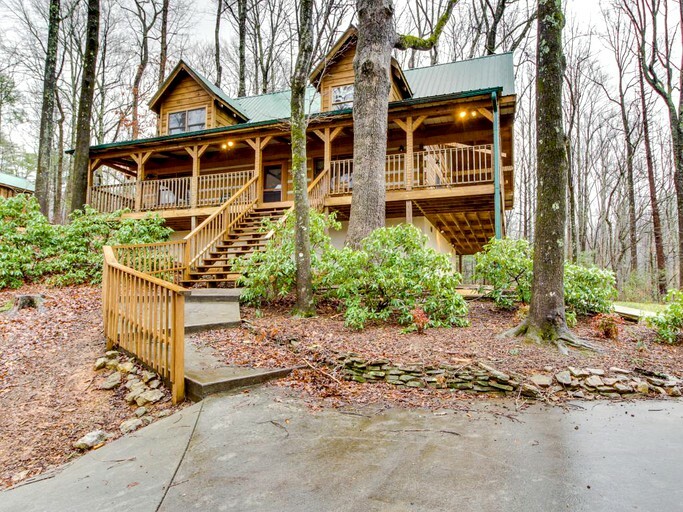 All these can be found in the Great Smoky Mountains National Park, located just a short drive away from the cabin. 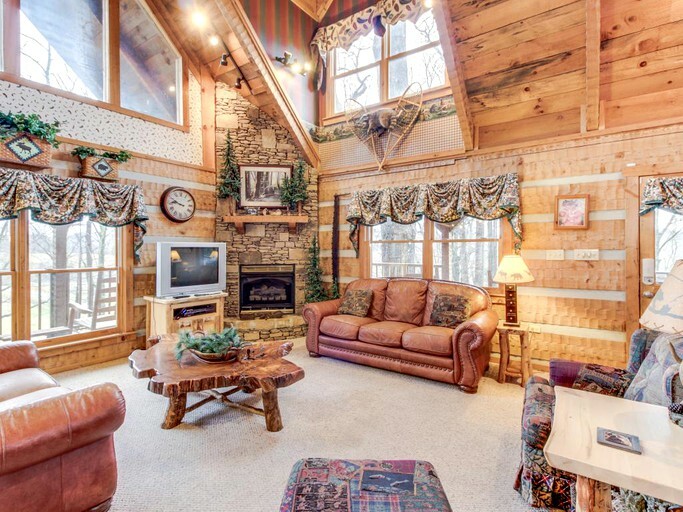 In the winter, skiing and snowboarding at Ober Gatlinburg Ski Area are great fun and also not too far away. 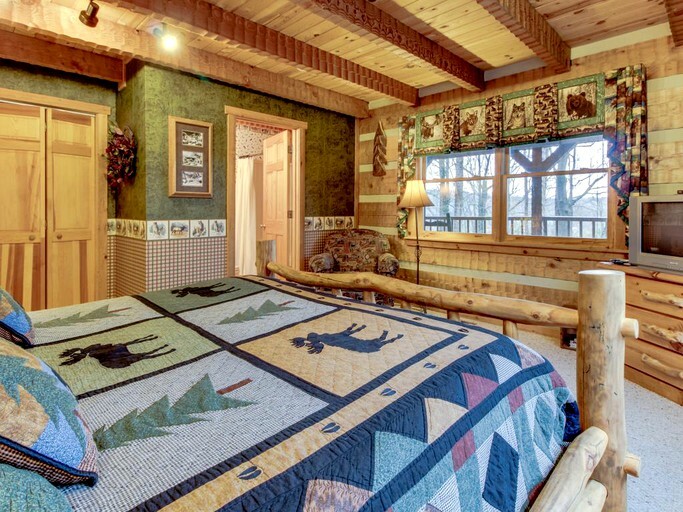 This accommodation is not suitable for pets.